Jennifer Wong has very good English. She knows this because she’s been told so by complete strangers. She’s so good at English, in fact, she’s written a whole show about it. How To English Harder plays around with language in fun and unexpected ways, bringing together the cheesiest of wordplay with some sharp social commentary – like a sharp knife, cutting through the aforementioned cheese. The show is structured into a few different “lessons”, each divided by short bursts of audio from a cardboard cassette player that sits on stage. These sections are in the style of a language lesson tape, and give Wong a good jumping off point to shift to a new topic. As Wong repeatedly points out, there are no actual English lessons in the show, but there are plenty of jokes. Wong is clearly someone who loves the English language and who loves a pun even more. The show is riddled with them. Wong appeared to delight in the audience’s groans every time she made one. In How To English Harder, Wong explores both the English language and what it can mean in today’s political climate. It can be a way to communicate with others, but it can also be used to exclude, to judge, to draw a line between “us” and “them”. Wong deftly weaves in punchy political humour amongst the more twee language-based material and it hits hard every time. It’s a glimmer of a stronger, more opinionated show that lies just underneath the witticisms on the surface. How To English Harder isn’t the kind of show that has the audience rolling in the aisles, but the material is clever and keeps the audience engaged throughout. The show was occasionally let down by what looked like a lack of confidence from Wong. 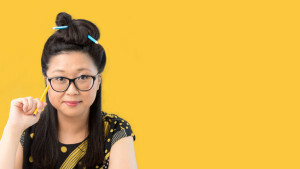 Her delivery is fairly soft and self-deprecating, and when combined with recurring apologies about the room being hotter than usual, it came across as though Wong didn’t feel the show was going as well as it could. There’s some really funny material in the show, but Wong doesn’t sell it as hard as is needed. How To English Harder is a thoroughly entertaining effort from Wong. The balance of wordplay and commentary always keeps things interesting, and Wong is a performer who’s a lot of fun to watch. I first saw Nautilus back in 2015, when it was still a 90-minute-long work-in-progress. Since then, Wakenshaw has toured it around, picked up an award nomination in Edinburgh and tightened it up to 75 minutes. 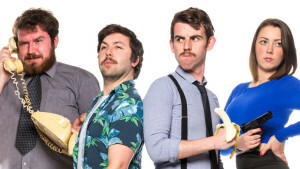 It’s a hilarious, unique piece of comedic theatre that’ll have you sympathising with chickens and laughing at silent stand-up. Wakenshaw’s use of mime is masterful, constructing detailed worlds on the stage out of thin air. The verbal language of Nautilus is limited. There’s a couple of key phrases and some animal sounds, but most of Wakenshaw’s communication is through movement. Nautilus makes you keenly aware of just how much of our language can be deduced from our physicality. A section of the show in which Wakenshaw imitates a stand-up comedian at work really highlighted this. Without telling a single joke, the audience knew exactly where the act was at, laughing at all the right beats. There’s a meaningful moral thread that runs through Nautilus. 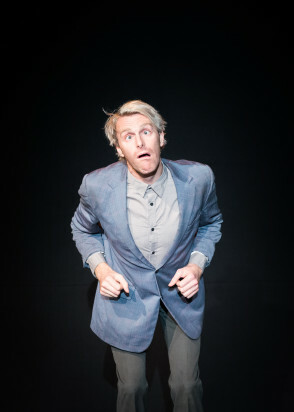 At different points of the show, Wakenshaw tells the story of a man pursuing three animals – a sheep, a cow and a chicken. In each situation, the man is wanting to exploit the animal against its will to get its wool or milk or eggs, and you can hear the audience sympathising deeply with the animals. It’s not a subtle message – Wakenshaw is pretty clearly referencing our consumption of animal products and I suspect he’s a vegan – but it feels covert due to the delivery method. It’s a wonderful message and Wakenshaw gets it across without being preachy, and he keeps everyone in hysterics the whole way through. Nautilus is a fabulous combination of the silly and the serious. Wakenshaw has created a really special show here that brings together the audience in a beautiful way. This is clowning and mime that plays at the top of everyone’s intelligence. 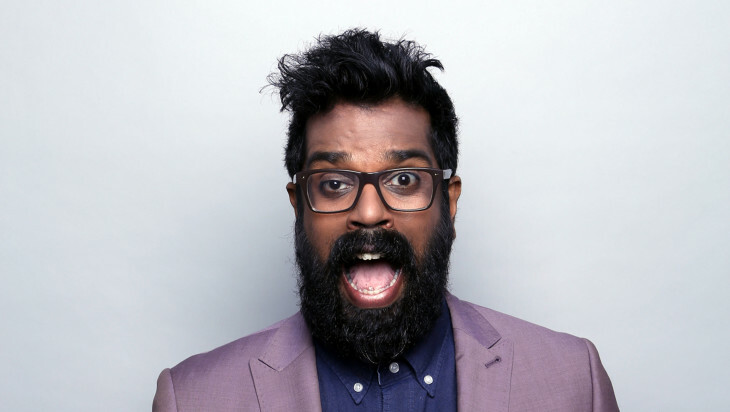 Five years ago, Romesh Ranganathan was a maths teacher in Banstead, Surrey, a village so small and nondescript it literally doesn’t qualify as a UK ‘town’. He hadn’t yet performed in front of Prince Harry. 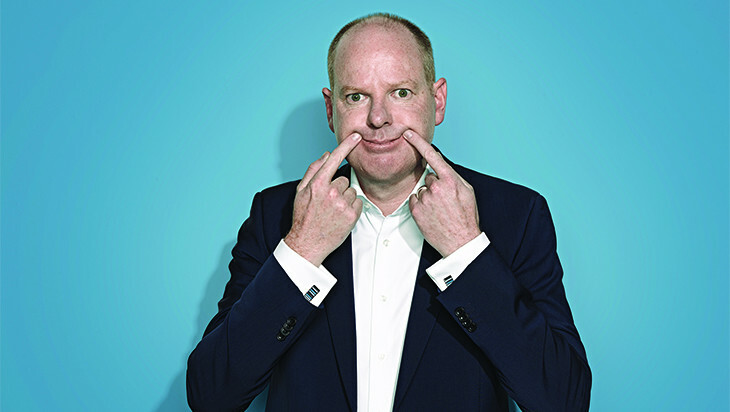 He hadn’t created a BAFTA-nominated TV show co-starring his own mum. He hadn’t been shortlisted for Best Newcomer at the Edinburgh Comedy Awards. And he certainly hadn’t sold-out three headliner shows at the Hammersmith Apollo. Five years later, all those things have happened. It’s a rise that has you scrabbling for words like ‘meteoric’, so I was pretty excited to join the packed-out crowd at The Arts Centre Pavilion, all of us queuing up to see his latest show, Irrational. It was a motley crew, ranging in age from a baby (no joke – the best heckle of the night was a loud gurgle right in the middle of a punch line) all the way to grey-haired pensioners, which probably speaks to Romesh’s broad appeal. His style is world-weary cynic meets gruff East London geezer; I clocked the first “bruv” at about three minutes in. But his current runs a little deeper than your average observational comedian. Irrational isn’t strictly speaking a new show, and you might recognise the odd bit from Youtube clips or Romesh’s appearance on BBC panel shows. But it doesn’t really matter. He’s performed the set so many times that the timing is damn near perfect, digging deep silences between set-up and punchline that only seem to amplify the inevitable payoff. Some of his best material concerns his kids and the pitfalls of fatherhood. Turns out Romesh and his wife were so smug about how well the first child turned out that they decided to double down. It didn’t work. As good as Romesh is (and he is very good) he doesn’t quite hit the Olympian heights of, say, your Dara O’Briains. It’s not an entirely fair comparison – Dara has been performing since the early 1990s – but you can still feel daylight between the consummate pro and a guy still honing his craft. There’s a gap there that has something to do with audience stamina: after Romesh’s 60-minute set I was satisfied, but ready to leave. Dara could have performed for three hours straight and I would have happily eaten a power bar and strapped in for three more. None of that really matters at the end of the day, of course. The rise of Romesh has been incredible, and he has the talent to go as far as he wants. Time will tell just how far that is. One thing’s for sure though: that would have been the best maths class of all time. The final Saturday night at The Festival Club is always a Big night and Max Watts has certainly found ways to squeeze in a hell of a lot more people than Hifi ever did. It was a pretty good line up of performers, with standouts being Geraldine Hickey, Urzila Carlson and Romesh Ranganathan. The low point was having a boring, non-funny stripping hula hooper from Yummy on just before the Awards. Then around 1am it was time for the Awards Ceremony. Pinder Prize – Damien Power: Utopia: Now in 3D! I’d not been to one of Gleeson’s solo shows before because I am a fan of comedy. 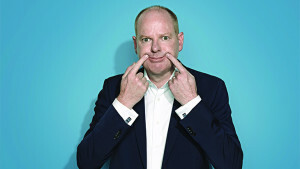 However, I crossed paths with this bloated thumb in a shirt on Hard Quiz – a show where he insults members of the public on the taxpayer’s dime – and as the saying goes, “Revenge is best served via a bitter, needlessly cruel review by a volunteer comedy critic on the internet”. Hi, Tom. I know you’re reading this. It’s time to review you – HARD. Gleeson’s brand of competent stand-up covers a lot of the usual topics. He’s got kids. They like annoying kids’ TV. He’s got a wife who thinks he’s boring. They argue sometimes. He owns whitegoods. Isn’t customer service crap? There’s nothing revelatory here. The final story is perhaps the most interesting thing in the show, and that’s probably because it relates a tale that Gleeson wasn’t even involved in. The tone of the show is deadpan and vindictive. Most of the stories boil down to Gleeson hating someone or other. There’s an ease to his delivery, which makes sense. Gleeson has been doing this for a long time and is just continuing to do more of the same. He should be good at it by now. Instead, we get a laundry list of his grievances and a literal story about him watching laundry dry. Speaking of laundry, how about putting a little effort into your appearance, Tom? You look like you’re about to pop down to dad rock night at your local RSL to get yourself the cheapest possible parma and bob your egg-like conk to a bit of Steely Dan. This show is the comedy equivalent of five-minute noodles. Sure, it looks like a meal, but it’s unsatisfying and there’s no effort put into it. If you’re into basic stand-up performed by a middle-aged man in dress jeans, go and see Cheer Up, I guess. You’d better be quick, though, as Gleeson is only bothering to do six shows, two of which he cranked out on the same day. – Ed’s Note: Jeez Elyce, you lose once on Hard Quiz and all reviewer’s objectivity flies out the window….